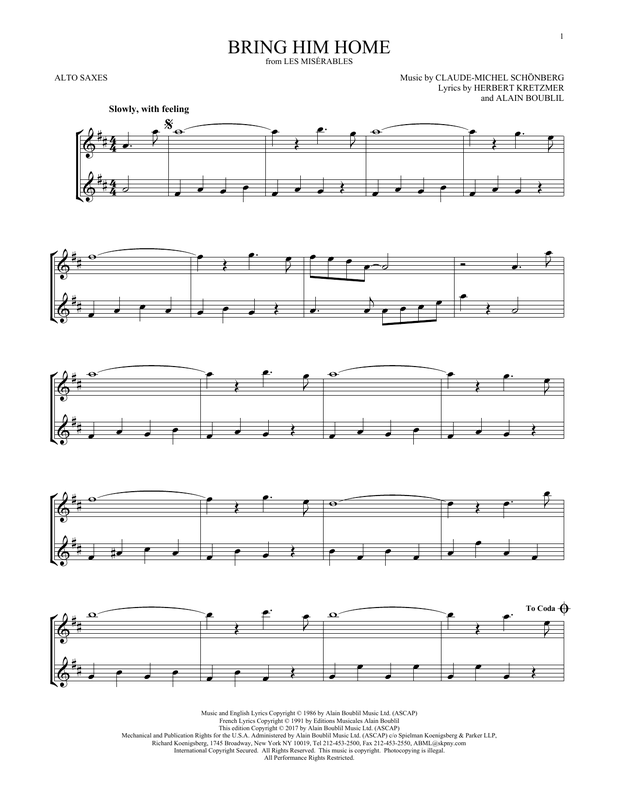 This composition for Alto Saxophone Duet includes 2 page(s). It is performed by Claude-Michel Schonberg. The style of the score is 'Broadway'. Catalog SKU number of the notation is 253388. 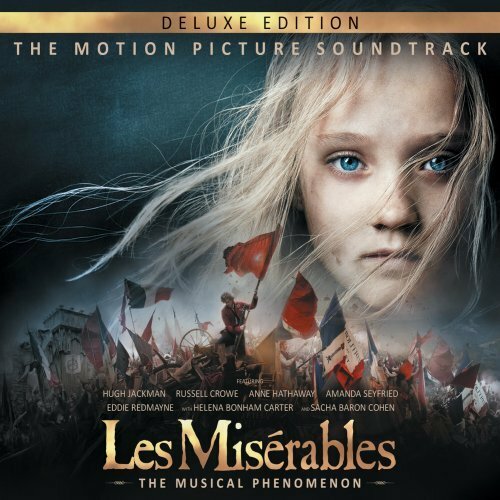 This score was originally published in the key of F. Authors/composers of this song: Music by CLAUDE-MICHEL SCHÖNBERG Lyrics by HERBERT KRETZMER and ALAIN BOUBLIL. This score was first released on Thursday 31st May, 2018 and was last updated on Thursday 14th June, 2018. The arrangement code for the composition is ASAX2. Minimum required purchase quantity for these notes is 1. Please check if transposition is possible before your complete your purchase. * Where transpose of 'Bring Him Home' available (not all our notes can be transposed) & prior to print.